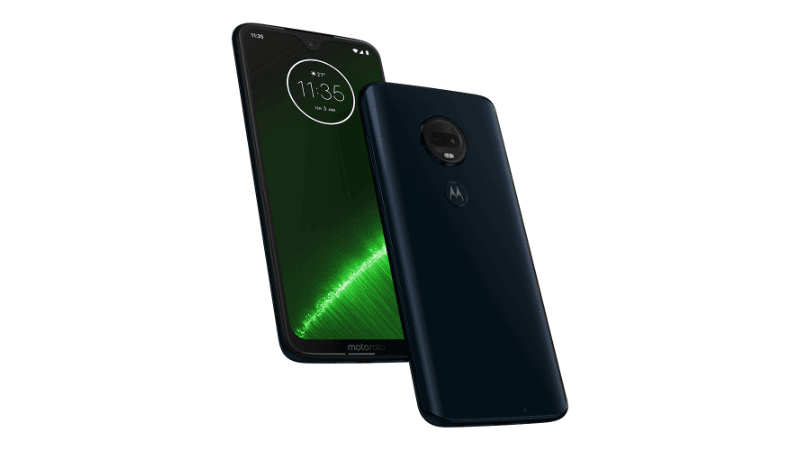 The Lenovo owned brand Motorola on Thursday launched the Moto G7 series of smartphones in an event in Brazil. The brand had been off the shelves for quite some time now and has come out with four of its smartphones with the G7 tag. These smartphones make their entry in the affordable and mid-range price segment. Although the different models come with different price tags and features catering to different users, there are some standard features across the four phones. All the four devices come with stock Android 9 Pie, rear fingerprint sensor, Dual 4G support, and other connectivity options. The lowest priced smartphone in the Moto G7 series starts with a price tag of $199. We decided to make a comparison between the four devices to show you which one might be the right choice in the coming times for you to buy when the G7 series lands in the Indian market. Like we mentioned above, the Moto G7 series have something in common like the rear fingerprint sensor, face-unlock capability, microSD card slots, stock Android 9 Pie and USB Type-C port. Additionally, all the Moto G7 phones support the 3.5mm headphone jack. When it comes to screen, the Moto G7 Play sports a slightly smaller 5.70-inch (720×1512 pixels) display, while the other models come with a larger 6.2-inch display. The resolution on the Moto G7 and Moto G7 Plus is 1080×2270 pixel resolutions, while the G7 Power supports a lesser 720×1520 pixel resolution. Also, the Moto G7 and Moto G7 Plus come with waterdrop notches whereas the other models sport a slightly bigger notch. The aspect ratio on all the screens is 19:9. Speaking of the processing prowess, the Moto G7 Plus is the topmost performer as it packs the Snapdragon 636 processor, whereas all the other devices sport the Snapdragon 632 processor. The Moto G7 and Moto G7 Plus pack 4GB RAM and 64GB of internal storage capacity, the Moto G7 Play offers 2GB RAM and 32GB inbuilt storage. Lastly, the Moto G7 Power packs 3GB RAM and 32GB of inbuilt storage capacity. To have an overview of what the phones offer on the imaging front, the Moto G7 features a 12MP primary sensor with an f/1.8 lens and 5MP secondary sensor with an f/2.2 lens. There is an 8MP sensor with an f/2.2 lens on the front for selfies. The Moto G7 Plus also packs a dual rear camera setup, and it sports a 16MP primary sensor with an f/1.7 lens and a 5MP secondary sensor with an f/2.2 lens. There is also support for OIS in the dual rear cameras. On the front, there is a 12MP sensor on the front with an f/2.0 lens. Moving on to the Moto G7 Power, the phone sports a 12MP single camera on the rear with an f/2.0 lens while on the front, the phone has an 8MP sensor with an f/2.2 aperture. The Moto G7 Play which is the most affordable of all sports a 13MP rear shooter with an f/2.0 lens and an 8MP front shooter with an f/2.2 lens. The G7 Play also supports front LED flash. The Moto G7 Power stands as the winner when it is about battery life as the phone packs a massive 5,000mAh cell, this, however, means that the phone is also the bulkiest in the G7 line-up. The Moto G7 bears a price tag of $299 (about Rs 21,300), the Moto G7 Power will retail for $249 (roughly Rs 17,800), and Moto G7 Play will be the cheapest of all with a price tag of $199 (approximately Rs 14,200). The phones have currently gone live for sale in Brazil and Mexico, and the global rollout of the phones will begin in mid-February. The European pricing of the Moto G7 Plus has also been revealed to be EUR 299.99 (roughly Rs 24,500), and the phone will be launched in selected regions only. Except for the Moto G7 Power, Motorola has not shared the release date for its phones in India. We currently know that the Moto G7 Power will make its entry into the Indian market only a few weeks from now. The colour options available for Moto G7 will include Ceramic Black and Ceramic White colour options, the Moto G7 Plus will retail in colour options of Deep Indigo, Starry Black, and Fine Gold. The Moto G7 Play will be available in Deep Indigo and Viva Red colour options, whereas the Moto G7 Power will debut in Marine Blue colour option. YOUTUBER KE 100 TECH REVIEWR ALSO FAIL INFRONT OF THIS FORUM COMMENTS ….BUT NOW A DAY PERSON NAME CHAKRI CURB THE COMMENTERS VOICE BY USING THIS WONDERFULL THEME!!!!???? Have to seen the displays on Galaxy M20 and Realme 2 Pro and LG G7? On M20 it is PLS TFT. I stopped using LG since the motherboard failure of my LG G3 in May 2014. So no comments. LG is stubborn at just 3 Ampere battery in most of the handsets.